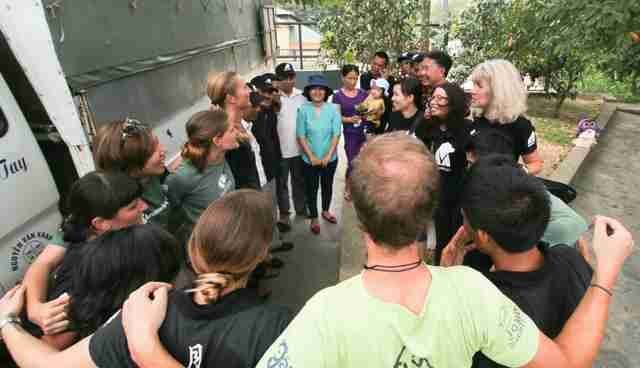 Moon bears Sam and Simon arrived Wednesday at Animals Asia's sanctuary in Tam Dao, Vietnam - the first of 38 bears the animal welfare organization will rescue across Quang Ninh province. The bears had been on Ba Mun island for four years. 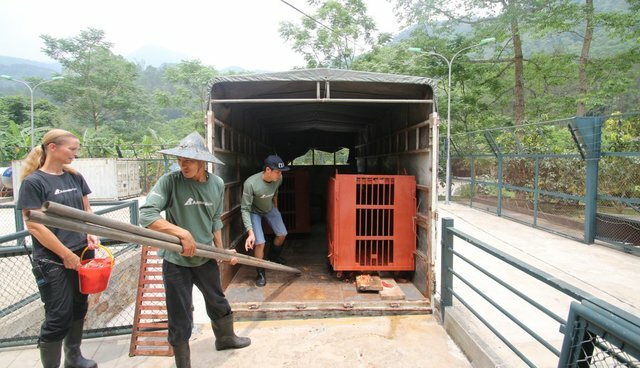 They will now start their quarantine and rehabilitation ahead of being slowly integrated into sanctuary life - sharing dens and open air enclosures with the 112 bears previously rescued from the bear bile industry. 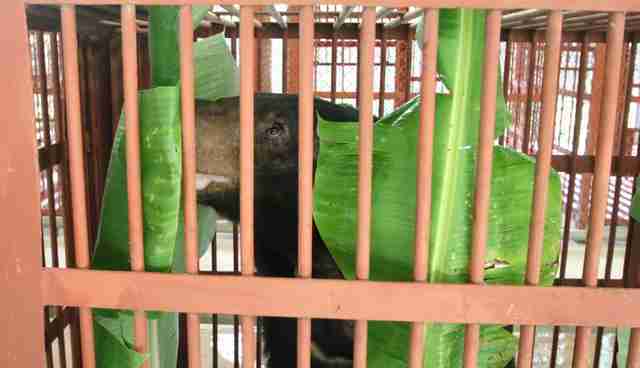 Animals Asia has long campaigned for an end to bear bile farming. Early this year it launched a campaign to persuade Vietnam's Prime Minister to allow them to rescue the bears located in Halong Bay. After huge support, last month it was announced that local authorities would end bear bile farming across the province and allow Animals Asia to rescue all remaining 38 bears. Sam and Simon are the first. Animal lovers around the world have followed their rescue via social media. "Our first rescue at sea and our most challenging rescue ever. Just an incredible team. They have worked so hard to secure the release of these bears and now it will take multiple rescues to get all these bears home to our sanctuaries. We cannot thank our supporters enough for the part they've played in this and we thank the authorities for listening and doing the right thing for the bears. The whole of Animals Asia is now gearing up for these 38 bears. To care for them, to house them and to ensure that they recover and live full lives, will stretch our resources to the absolute limit. But this is what we do and, with the help of our many friends we will continue to do so. We are seeing immense progress - we've never needed more help - but we've also never had greater reason for optimism."